Competitor: 45/30# KB, Do not set the weight down. Rest in the hang, or catch positions. 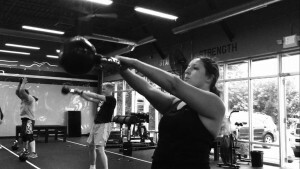 Do 30 snatches on 1 arm and then 30 on the other. Athlete: 35/20# You may set the KB down when desired.